Islam apologists have long pointed to a "moderate" Islam. It's a Western construct based on a 25 year old lie. (Source) Islam is Islam. But if Jews and Christians can reform, so can Muslims. Key is the long and hard process of individualization: you don't change the ideology, but you can change the mindset of the people and the culture. UPDATE: Thomas Aquinas was a 13th-century scholastic and is regarded as one of the most eminent philosophers and theologians. He introduced the principle of reason into the Roman Church. He considered a question first from the perspective of reason. Only if a rational explanation failed to explain it, he conceded to faith. Aquinas' most fateful feat for Western civilization was his re-introduction of the philosophy of Aristotle, opening the way out of the Dark Ages and into the Renaissance and the Enlightenment. As it happens, he also offered a biting critique of Islam based in large part on the questionable character and methods of its founder, Mohammed. Dec. 8, 2015 Tarek Fatah on the difference between Muslim and Islamist. (..) In a way, it should not be surprising that this message comes from Indonesia, the home of Islam Nusantara, widely seen as one of the most progressive Islamic movements in the world. The movement — its name is Indonesian for “East Indies Islam” — dates back more than 500 years and promotes a spiritual interpretation of Islam that stresses nonviolence, inclusiveness and acceptance of other religions. (...) A prevention center based in Indonesia, expected to be operational by the end of the year, will train male and female Arabic-speaking students to engage with jihadist ideology and messaging under the guidance of N.U. theologians who are consulting Western academia. The film, “Rahmat Islam Nusantara” (The Divine Grace of East Indies Islam), has been translated into English and Arabic for global distribution, including online. HOW TO BREAK THE VICIOUS CYCLE? Jul 31, 2015 The Glazov Gang: Choudary, Spencer and Jasser Battle It Out. 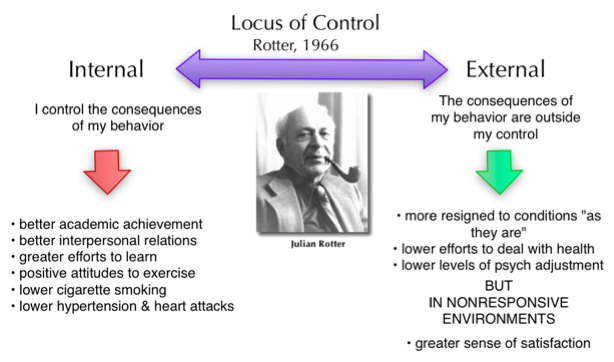 This is a new insight building on the psychological concept of the locus of control. If you haven't heard of it, scroll down to the bottom of the page. The tribal mind is controlled by external forces (extended family, tradition, religion, etc.). When we describe a person as "highly susceptible" we mean that he has a lack of inner controls i.e. values/morality to correct false, external manipulation. Cultures that are still largely functioning at the tribal level of development can't be expected to live in liberty, because that requires the opposite process: individual control over external forces (Government, devious politicians, religious leaders, false prophets, etc.). The ballot box does nothing for those societies. 'Democracy' in itself is useless. What is required, is a process of individualization. From this follows the creation of a civil society (voluntary cooperation) and the requirement of the rule of law. The ballot box is merely the cherry on the cake. You cannot reverse this process. Individualization does not spring from a walk to the polling station. It's a deeply personal process and hard work for which there is no short cut. An additional problem for Islamic societies, is that Islam itself prevents this development. It's a vicious cycle. So the question now is, how do we break the cycle? March 23, 2015 Ayaan Hirsi Ali Discussing 'Heretic' with Megyn Kelly. UPDATE: Read it all - get the books now! Here are links to both the English and the German editions of @Ayaan 's new book. 'Heretic'. YouTube Channel Cropper Lyceum: Is there a relation between Aristoteles and the Golden Age of Islam? UPDATE: As we saw in part I Averroës was the custodian of Aristotle's rational world view. Aristotle's school of philosophy was pushed out of Europe by Christian thought in the early Middle Ages. During the Islamic Enlightenment -- of which Averroës was the main pillar -- translations of Aristotle's work appeared in Arabic and Syriac. Via the Almoravid Caliphate (wiki) Aristotle's ideas could emerge in the West, specifically after Albertus Magnus and his follower, Thomas Aquinas adapted the philosophy for Catholicism. This laid the foundation for the Renaissance (lit. re-birth) and Western Enlightenment. Both periods of enlightenment do not only share a root; their fall is also strikingly similar. Just as Ibn Taymiyyah was responsible for the retreat of the Islamic Enlightenment, so the German philosopher Kant is the Ground Zero of the triumph of the school of Western irrational thought. Read also: Kant, Aristotle. Yet, there is no reason to suppose why both civilizations wouldn't be able to come to new fruition if Aristotle's school would be again adopted. Locus of Contol by Julian Rotter. They (Muslims) have strict external rules, traditions and laws for human behavior. They have a God that decides their life's course. (...) They have powerful Muslim clerics who set the directions for their community every Friday. These clerics dictate political views, child rearing behavior, and how or whether to integrate in Western societies. The locus of control is central to our understanding of problems and their solutions. If we are raised in a culture where we learn that "…I am the master of my fate: I am the captain of my soul," as William Ernest Henley wrote in his famous poem Invictus in 1875; we will, in case of personal problems, look at ourselves and ask: "…What did I do wrong?" and "…What can I do to change the situation?" In societies shaped under Islamic and Qu’ranic influence there may be fewer feelings of guilt and thus, more freedom to demand the surroundings to adapt to one's own wishes and desires. This may include demands to wear Islamic costumes which can result in more Muslim demands for Islamization of our Western societies, but it is also a powerful source of victim mentality and leads to endless demands on one's surroundings. In a very concrete way this cultural tendency, shows itself in therapy, as a lack of remorse. The standard answer from violent Muslims was always: "…It is his own fault that I beat him up. He provoked me." Such excuses show that people experience their own reactions as caused by external factors and not by their own emotions, motivation and free will. Even though one's own feelings, when experiencing an insult, can be moderated by one's own point of view, this kind of self reflection does not happen to the same degree among Muslims as it does among Westerners. Muslims apparently have an entirely different set of mental hardware than those raised on a Greco-Roman, Judeo-Christian mentality based on free will and personal responsibility for our conduct and attitude towards life. It is the consequence of Western philosophy since Aristotle. But it stands to reason that tribal life in the Middle East requires a very different attitude towards reality. A tribe is a miniature totalitarian state. The individual has no right to exist for himself; his life is entirely subordinate to the welfare of the tribe. Every bit of personal life and individuality is suppressed from a very young age. This means that everything that determines human morality, free will, evaluation, the acceptance and rejection of values has no chance to develop. But humans are creatures of self made soul. Thought is a voluntary process. Which means we have it in our capacity to do something about our mental makeup and take charge of our lives. 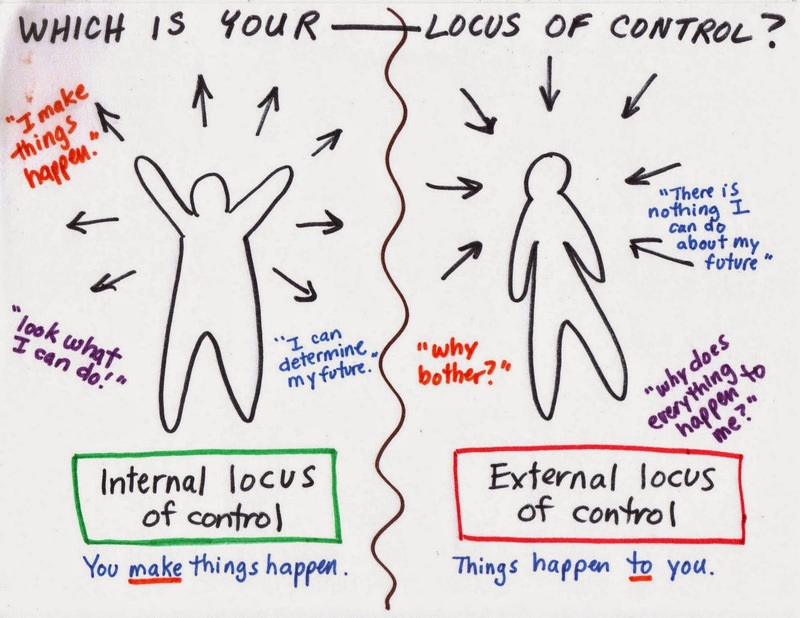 Free will (internal Locus of Control) versus determinism (external Locus of Control). Sennels worked with young criminals and discovered that almost all were exclusively moved by external controls, more precisely, the ethos. We'll come back to that later on in detail. What concerns us here is that apostates from Islam initially reported the feeling of falling into a "black hole". This is to be expected when the only controls known to an individual -- the external control -- are being removed. This experience subsides with time, once the inner self becomes more developed and the individual is ready to finally take control over his own life by making his own choices. This is a very crucial process of individualization that Muslims must develop if they want to transcend the current state of Islam, which is unsustainable in its premodern, unquestioned form.